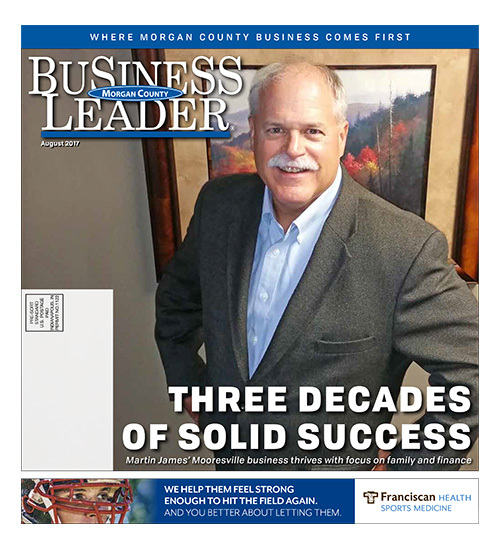 From a vantage point 31-years later, it is possible for Martin (Marty) James to look back and describe how Martin James Investment & Tax Management, LLC grew from scratch into the unique firm it is today. It was an evolution and each step along the way was made through prayer and conscious decisions to remain focused on family and doing what is right, and best, for clients through financial planning. and doing well. Accounting it would be. May, 1980 was a big month for the couple. Marty graduated from Indiana University, he and Cindy married, and a week later he started work. Despite several offers from big firms outside the area, he accepted one locally at Coopers and Lybrand. For nearly three years he worked in the small business area in real estate tax and accounting. He later moved to a smaller firm. The first year the couple completed 100 tax returns. Cindy’s mother kept the boys some nights and other nights the boys stretched on sleeping bags while the couple worked long into the night. Marty did return preparation and Cindy typed each one on a typewriter by hand. “I was really interested in the financial planning model,” Marty said. From his previous experiences he discovered that large firms were not positioned to help small business owners with the planning side of life. “They are too big with lots of overhead,” Marty said. “Their structure is not conducive to providing services to Main Street like we have here in Indiana.” And Mooresville, small town Indiana, is where they always intended to stay.